Just a few short months ago, any rumors, suggestions or hints of official Apple Music support being provided to Google Home users would have probably been deemed too far-fetched to take seriously. But now that the world's second most popular music streaming service works on Amazon's market-leading Echo devices, a similar partnership between Google and Apple seems pretty much inevitable. 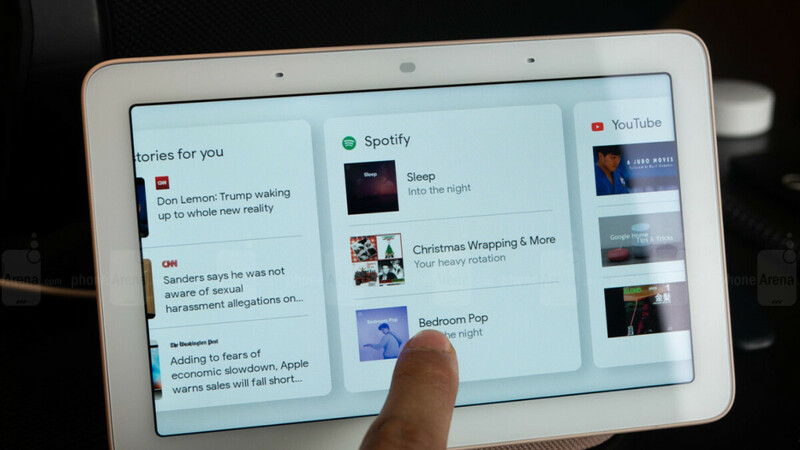 Unfortunately, that's not happening yet, as the Apple Music appearance in the Google Home iOS app earlier this week is being blamed on an innocent software bug. Apparently, the app iPhone owners can use to manage and control their Google-made smart speakers and Chromecasts and the Google Assistant app share "some settings for music services", according to an explanation offered to Bloomberg. Somehow, the Google Home app misidentified Apple Music as a supported service due to the streaming platform's compatibility with Google Assistant. That sounds curious, to say the least, although the search giant insists it has "nothing to announce regarding updates to Google Home." Of course, that doesn't necessarily mean the situation will remain that way for much longer. Google's smart speakers can already be used to stream your favorite tunes via a wide range of "premium" services, from Spotify to Pandora, Deezer, and of course, Google Play Music and YouTube Premium. Meanwhile, Apple is bizarrely keeping HomePod owners locked into the company's in-house streaming app, but as iPhone sales and profits continue to decline, the services business is growing and expanding. In addition to Amazon's best-selling smart speakers, Apple Music also supports everything from Android tablets to Windows PCs, so it definitely makes sense for Google Homes to join the party soon in a mutually beneficial deal. Apple Music could further boost its subscriber count, while Google's smart speakers would start to appeal to iOS users even more. What's there to hesitate about? Apple should consider loosening its grip on their smart speakers. Make them work with Android and Google Assistant / Alexa. The real problem is Apples Siri is closed. You can't even make apps for the HomePods. For that matter SiriKit only supports iOS devices, but the HomePod is currently not one of those supported devices. Apple needs to open up the backend or server side, so developers can extend Siri, just like Alexa, and Google Assistant allow developer's to create voice apps that are not locked into or tied to any hardware or platform. SiriKit locks developers apps to use iOS, and then you have to install those apps on your iOS devices. The other thing is the competition currently supports smart displays, which Siri has no support what so ever.